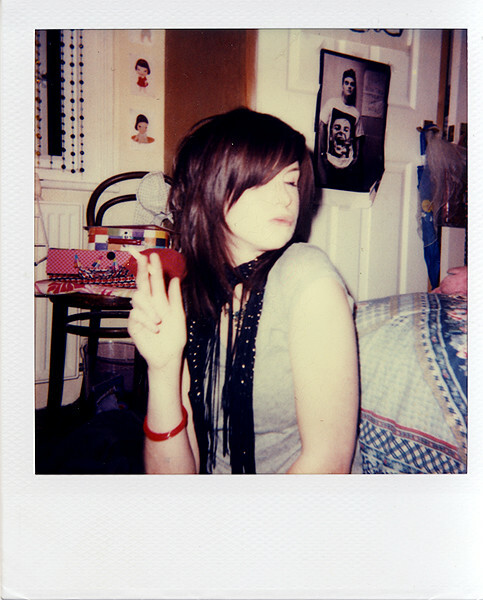 My friend Katherine round my house in 2004 or so. The room had incredible 70s carpet, sadly not visible in the picture. Dodgy expired polaroid SX-70 film I got for £1 a box at a bootfair.